Ingredients : Mava , Sugar , Ghee , cardamom (Elaichi) etc. 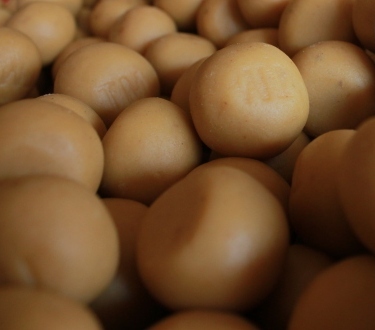 Mathura Peda is humble little milk fudge pedas of mathura , a very popular and well known place of Uttar Pradesh State of india. Mathura Ke pede (Mathura Peda) dish is made of khoya/mava (made from thickening the cow milk or buffalo) sugar, cardamom, pure ghee, this is a less time taking dish and can be easily prepared at every home. 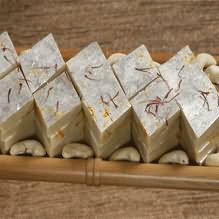 Enjoy your Occasions by sending these mathura peda’s online , We parcel it beautifully and gift to your near and dear ones. Although, it can be refrigerated and preserved for longer times, Mathura Ke pede is best tasted when consumed within the 6-9 days . Ratlami Tadka server this at your door step between 2-5 days. 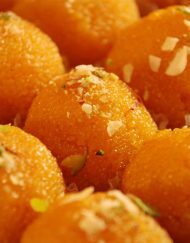 Quickly online order now your own box of these Delicious toothsome “Mathura ka peda”.